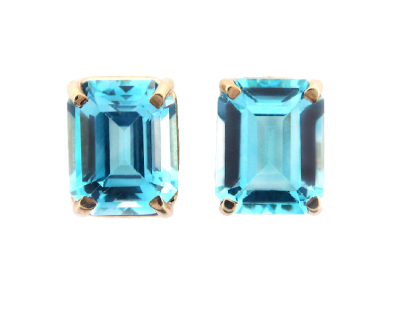 Traditionally, the blue zircon was considered the birthstone for December, but these days, December babies have many stones from which to choose like zircon, blue topaz, or tanzanite. 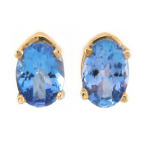 Whichever stone you choose, the blue hues are sure to remind you of the frosty freeze of winter (in a good way!). 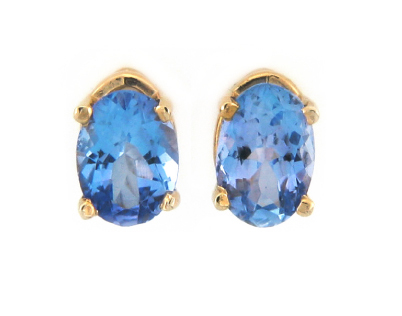 Zircon can actually be found in many different colors, but blue is most common for commemorating a December birthday. 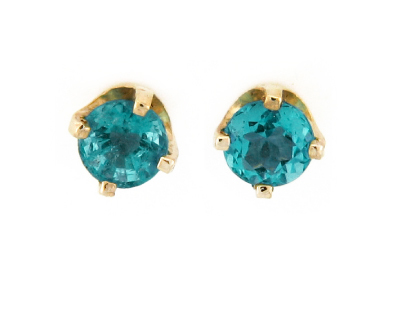 Zircon is a semiprecious stone which is often confused with cubic zirconia. A harder stone, it comes in at 6.5-7.5 on Mohs scale of hardness. 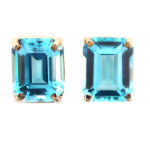 Blue Topaz gained popularity several years ago and has since given us a wide range of colors from deep London Blue to lighter shades like Swiss Blue Topaz or Sky Blue Topaz. 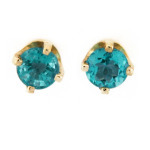 It is a semiprecious stone weighing in at an 8 on Mohs scale of hardness. 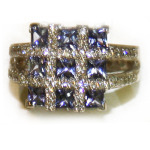 Tanzanite is a semiprecious stone that can come in a variety of shades, some true blue, some with a purple or violet cast. It’s a 6.5 to 7 on Mohs scale of hardness. 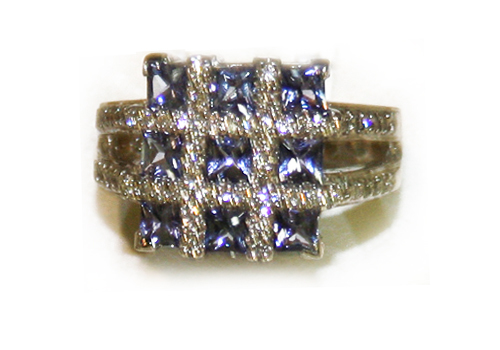 Tanzanite and diamond checkerboard ring in white gold.